The Official Star Wars Website has posted a look at the cover and some details on the 20th Anniversary edition of Heir to the Empire, the 1991 work by author Timothy Zahn that launched the modern Expanded Universe. The book is due out from Del Rey on June 21, 2011. Wave 20 (aka Spring 2011 Wave 1) of the Clone Wars basic figure line has started to hit Target stores. The wave includes four brand new figures - Obi-Wan Kenobi (sporting his new Season Three look), Clone Trooper Hevy (Training Gear), Cad Bane with TODO-360, and R7-A7 (Ahsoka's droid). This week at Toys R Us, you'll find a "2-for-$10.99" deal on the Clone Wars and Saga Legends basic figure lines (regular price $7.99 each). Once again, the sale does not appear to include the Vintage Collection but I'm sure someone somewhere will convince a TRU employee that it does. All the aspiring artists out there can head on over to StarWars.com for a lesson on how to draw the Daughter from Overlords, the recent episode of The Clone Wars animated series! Star Wars illustrator Jessica Hickman explains how with an easy-to-follow step by step process. Scott has posted another new entry in JediDefender's Collect All 92! forum. Click on over to check out the comparison pics for the toy that you bought broken and liked it, C-3PO (Removable Limbs)! LucasArts has updated the Star Wars: The Old Republic website with a new article on the game's Flashpoints. In Flashpoints, players team up to confront monumental challenges at pivotal moments in the game story. In honor of his recent appearance on The Clone Wars animated series, The Official Star Wars Website has added five new Qui-Gon Jinn quotes to the Star Wars Soundboards. Follow the link and have some fun mixing and mashing the sounds of your favorite student of the Living Force. SWTOR - Is it a September 2011 Launch? Rumors are circulating among the gaming websites that Star Wars: The Old Republic will be shipping even later that we thought. Inside sources are claiming that EA and BioWare are now preparing for a September 2011 worldwide launch for the struggling MMORPG. Sideshow Collectibles has posted a teaser image to announce their upcoming Premium Format Emperor Palpatine and Imperial Throne Set. Priority Pre-Ordering will begin next Thursday, February 3rd, with the launch of the weekly Sideshow Newsletter! MTV's Splash Page blog has officially revealed a new Star Wars comic from Dark Horse. Star Wars: Jedi - The Dark Side follows Qui-Gon Jinn as he tries to prevent a civil war on the homeworld of Xanatos, the Padawan he trained before Obi-Wan Kenobi. Follow the link for an exclusive interview with the series' writer Scott Allie. A mysterious force draws Anakin, Obi-Wan, and Ahsoka to the distant planet of Mortis in Overlords, this week's all new episode of Star Wars: The Clone Wars on Cartoon Network. Anakin learns of his destiny from a family of powerful Force-wielders who are convinced that Anakin will bring balance to the Force. StarWars.com has posted a look a Volkswagon's Star Wars themed Superbowl Ad. In the spot, which features John Williams' iconic "The Imperial March", a pint-sized Vader encounters the new 2012 Passat. Marshal Raylan Givens = Marshal Han Solo? I love Han Solo and I love Justified on FX - not hard to figure out why this new Season 2 promo for Justified made me smile. Hope you guys enjoy it too! The gang at Star Wars Action News are running a new contest! Click on over to find out how you can enter to win a rare chase Spirit of Obi-Wan Disney Vinylmation figure autographed by designer Mike Sullivan. 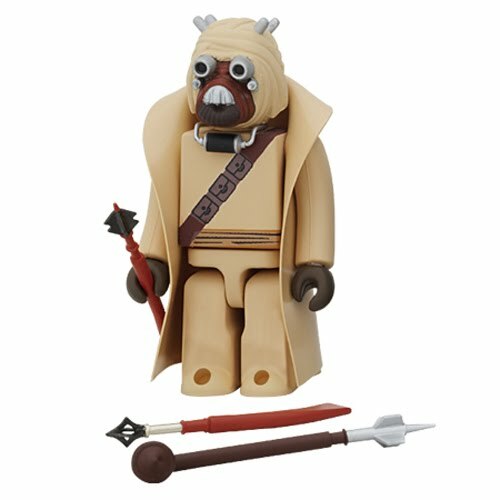 UK Toy Fair is this week and Hasbro gave Jedi News UK exclusive new images of Vintage Collection Wave 6. Follow the links to check out the loose and carded pictures of VC44 Luke Skywalker (Dagobah Landing), VC45 Clone Trooper, VC46 AT-RT Driver, VC47 General Lando Calrissian, VC48 Weequay (Skiff Master), and VC49 Fi-Ek Sirch (Jedi Knight). Warner Bros. Consumer Products is teaming up with a leading group of global licensees at Toy Fair in support of the Summer 2011 blockbuster film, Green Lantern, highlighted by DC Entertainment’s master licensee, Mattel. Click here to check out the full press release and toy preview pics. Even though he hasn't been officially announced by Hasbro, the exclusive Clone Wars Clone Captain Lock figure is already popping up at K-Mart stores across the west coast. We've seen varying reports on the price, anywhere from $8.59 to $9.89 each (price varies by store). Time to hit that K-Mart that you've been ignoring! Arriving at your local comic book shop this week are two new comics from Dark Horse - Star Wars Legacy: War #2 and the first issue in a new series, Star Wars: Darth Vader and the Lost Command #1. Can't wait to read them? Then follow the links for previews to tide you over! 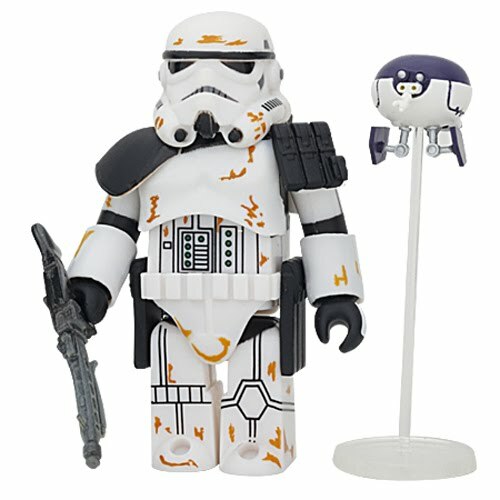 Star Wars Action News has posted their latest podcast episode entitled De-Vinylmation. In this episode, the SWAN team attends the release party for the new Disney Vinylmation Star Wars Series 1. Head on over for a review of the figures and an interview with Disney designer Mike Sullivan. The Clone Wars online comic is back for Season Three of the animated series. Click on over to check out what Obi-Wan and Anakin are up to in Part 11 of The Clone Wars: The Valsedian Operation. 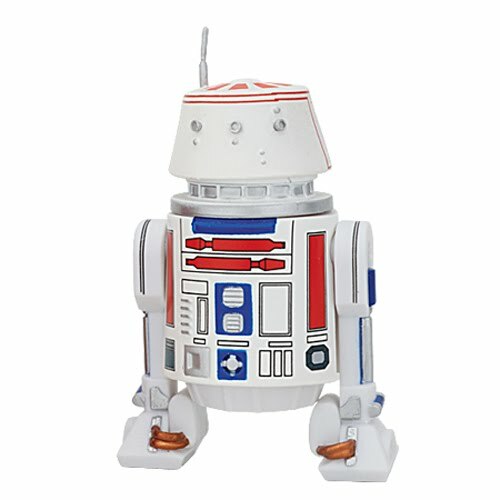 The Official Star Wars Website has posted a look at some nifty Star Wars Spyware Gadgets that were recently unveiled at the 2011 Consumer Electronics Show in Las Vegas. Follow the link to check out the gadgets, which should be available this Fall from Jazwares. 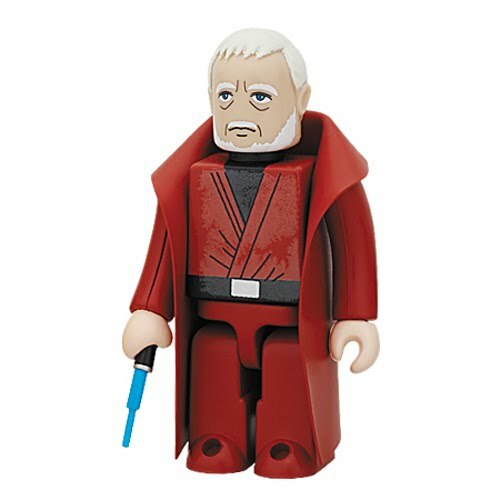 Entertainment Earth is now taking pre-orders for the Pop! Vinyl Star Wars Bobble Head figures from Funko. There are seven Star Wars characters to choose from - Darth Vader, Stormtrooper, Yoda, Greedo, Princess Leia, Chewbacca, and finally, our favorite, Han Solo. Medicom Toy has officially announced Kubrick Star Wars Deluxe Series 3, which was previewed at the 2010 Medicom Toy Exhibition last June. 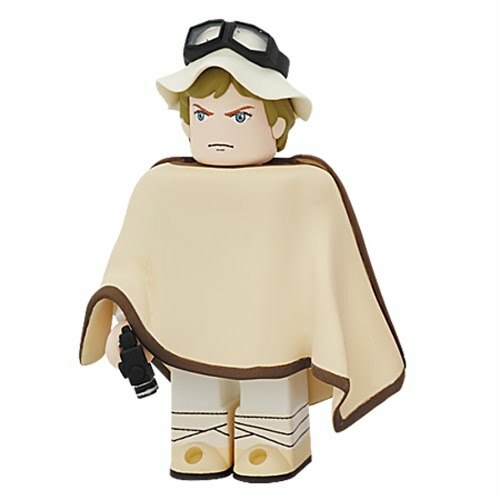 Deluxe Series 3 is scheduled for June 2011 and contains six new Kubrick figures - Luke Skywalker, Obi-Wan Kenobi, R5-D4, Tusken Raider, Garidan, and Sandtrooper. Continuing the Deluxe Series "build-a" concept, if you collect enough of the figures in Deluxe Series 3, you'll be able to build a Landspeeder! Wonder Festival Winter 2011 takes place on February 6th in Japan and once again there will be an exclusive carded Kubrick figure sold at the show! 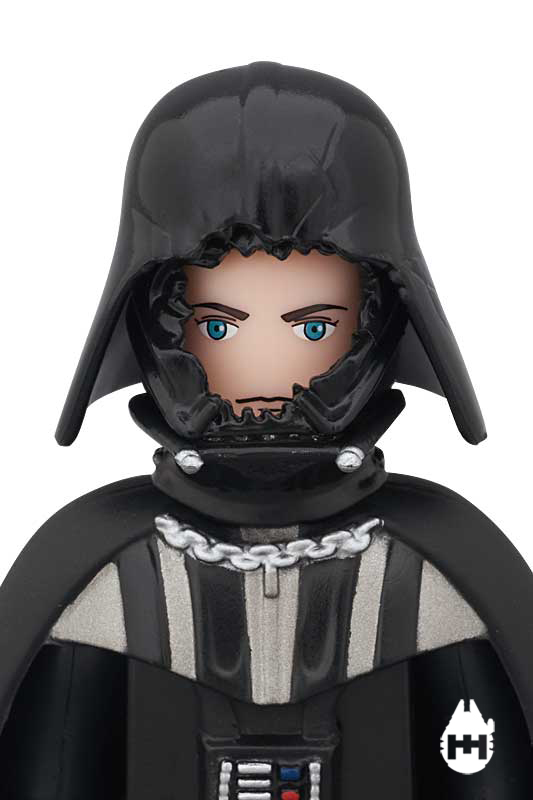 Dagobah Darth Vader will set you back 1575 Yen and is limited to 1000 pieces. As usual, 500 pieces will be sold at the show and 500 pieces will be offered via Medicom's website (Japan orders only)! Hot on the heels of the Wave 5 sightings, Wave 4 of the Vintage Collection figure line has now also been found at Walmart stores. The wave includes nine figures from Attack of the Clones - Obi-Wan Kenobi, Peasant Disguise Anakin, Peasant Disguise Padme, Zam Wesell, Jango Fett, Mace Windu, Kit Fisto, Senate Guard, and Super Battle Droid. It looks like the 2011 Hasbro price hikes have made their way to Target. While not as bad as the $10.99 price at Toys R Us, Target has hiked the price of the Vintage Collection by $1 to $8.99 each, while the Clone Wars and Saga Legends have been raised to $7.99 each. Bummer. Scott has posted another new entry in JediDefender's Collect All 92! forum. Click on over to check out the comparison pics for a gal who truly belongs among the clouds, Princess Leia (Bespin Gown)! LucasArts has once again updated the Star Wars: The Old Republic website. Follow the links to check out another round of entries in the Biographies section of the HoloNet archives, a new Studio Insider post on Starship creation, and a look at the planet Quesh and its role in the game. StarWars.com has added twenty-five sound clips from the Nightsisters trilolgy episodes of the Clone Wars animated series to the Soundboards. Follow the link to mix and mash the various quotes from Asajj Ventress, Count Dooku, Mother Talzin and Savage Opress! StarWars.com has also added twenty-five Mace Windu clips from the prequel movies to the Star Wars Soundboards. Click on over and have some fun mixing and mashing the quotes of Master Windu. Entertainment Earth is offering free shipping on all orders of merchandise totaling $99 or more until February 11th. Just add the items to your cart, check out, and enjoy the savings for Valentine's Day! Disney has updated their Parks Blog with a Star Tours 3.5 announcement. The new 3D attraction will make its galactic debut on May 20th at Disney’s Hollywood Studios in Orlando, Florida! It took them a little while to get here from Canada, but word on the street is that the two Toys R Us exclusive Battle Over Endor 4-Packs have now hit retail stores in the USA as well ($24.99 US). Hopefully everyone who got screwed over by TRU.com's mass order canceling can find what they need at their local TRU store. 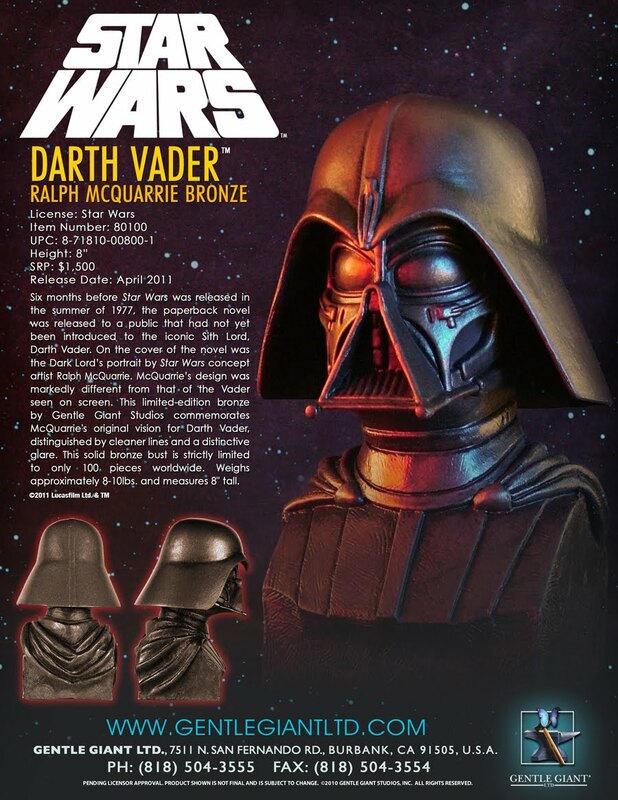 Gentle Giant has announced the new Bronze McQuarrie Darth Vader Bust. The bust sells for a whopping $1349.99 and is due in April. Click on the thumbnail for a closer look and then, if you've got money to burn, head on over to Entertainment Earth to pre-order yours! Entertainment Weekly has posted another great Clone Wars preview! The new trailer offers a sneak peek at an upcoming story arc that features the ghostly return of Qui-Gon Jinn, voiced by Liam Neeson himself! Scott has posted another new entry in JediDefender's Collect All 92! forum. Click on over to check out the comparison pics for the little piggy workers of Bespin's Cloud City, the Ugnaught! Scott has also posted a new entry in JediDefender's Collect All 92! forum for the second-favorite Star Wars character of the JediDefender staff, Lobot! Follow the link to check out the comparison pics. Sideshow Collectibles is now taking pre-orders for the 501st Legion Clone Trooper Life-Size Bust! Click here to pre-order your 1:1 scale clone bust or click here to take advantage of the FLEXpay option. Sideshow Collectibles is also taking pre-orders for the 12" Phase 1 Clone Sergeant figure from Attack of the Clones! Click here to pre-order the figure, which comes with a bunch of switch-out hands and an action pair of switch-out boots. Anakin Skywalker and Obi-Wan Kenobi find themselves on the trail of Count Dooku's newest apprentice, Savage Opress, in Witches of the Mist, this week's new episode of Star Wars: The Clone Wars on Cartoon Network. Make sure you tune in to catch the thirlling finale to the nightsisters three-part story arc! The Clone Wars online comic is back for Season Three of the animated series. Click on over to check out what Obi-Wan and Anakin are up to in Part 9 and Part 10 of The Clone Wars: The Valsedian Operation. It's not just the 2011 Vintage Collection line-up that's being spoiled before Toy Fair. Take a look around the Rebelscum Forums and you'll find a pile of new pictures that give us a peek at the next few waves of Clone Wars basic figures coming this year. Don't you love it when stuff doesn't make sense? Despite there being no solid reports of Wave 4 hitting, Vintage Collection Wave 5 has started arriving at Walmart stores across the country. The wave includes a mixture of new and repackaged figures - Utapau Clone Trooper, Luke Skywalker, Yoda, R5-D4, Yavin IV Han Solo, Stormtrooper, and Commander Gree. Looks like Vintage Collection Wave 6 was 'unofficially' confirmed while we were on our break. 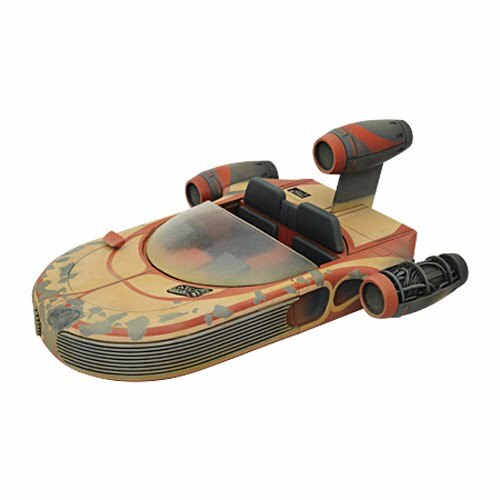 Wave 6 appears to include a new Dagobah Landing Luke Skywalker, General Lando Calrissian, AT-RT Driver, Fi-Ek Sirch, Clone Trooper (Attack of the Clones), and Weequay Skiff Master. 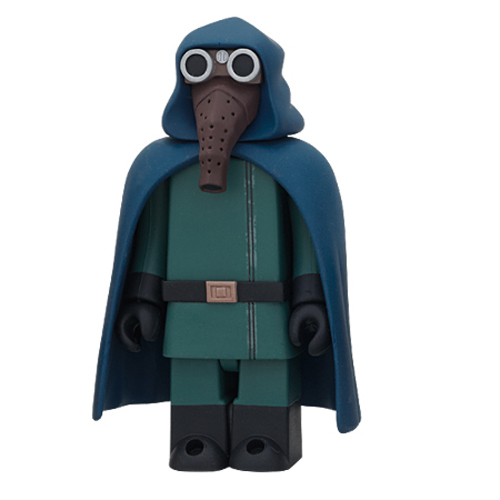 Follow the link for tiny preview pics of all six figures and look for more at Toy Fair! All the aspiring artists out there can head on over to StarWars.com for a lesson on how to draw two of the new characters from the latest episodes of The Clone Wars animated series! Grant Gould offers up tips on drawing the vicious Savage Opress, while Jessica Hickman explains how to draw the Nightsisters' Mother Talzin. - Shop at Entertainment Earth! © Copyright 2008-2011 HansHideout.com. All Rights Reserved. Disclaimer: At times we provide reviews and/or endorsements of products that are provided to us for free by the manufacturer. Posts of this nature will be clearly marked to indicate the product was provided to us courtesy of the manufacturer.